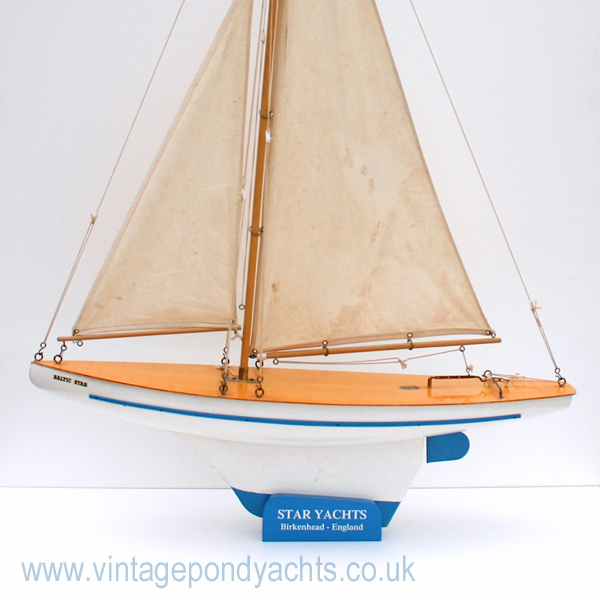 This stand is suitable for the very largest, lead keeled models in the iconic Star Yacht fleet. It is reproduced to the design of the factory product and has the option of an original Star Yacht deck transfer or “Star Yachts of Birkenhead, England” text. For further information, including the yachts for which it’s suitable, please see the full product description below. Unfortunately I am currently unable to process any international orders, my apologies for this. Original Star Yacht stands are very rare nowadays, they were always fairly crude in finish and although supplied with the larger, lead keeled yachts they invariably went missing… These, in contrast, are machined in hardwood, very highly finished and, in the case of the stand with the deck logo, finally clear lacquered in order to protect the original Star Yacht transfer. The text version has the graphics applied in white vinyl. They are the perfect way of displaying your treasured Star Yacht. There were several other Star Yacht variants produced over the many years that the factory was in production and it’s likely that these, extra large, stands will be compatible with other models in their range. 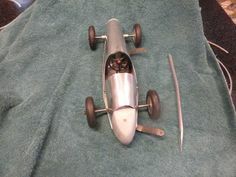 I myself have a very early pre-war “Polar Star” version and it fits beautifully. The critical dimension is the width of the yachts keel and this particular stand will accommodate up to 20mm (width) while the actual slot is 37mm deep. 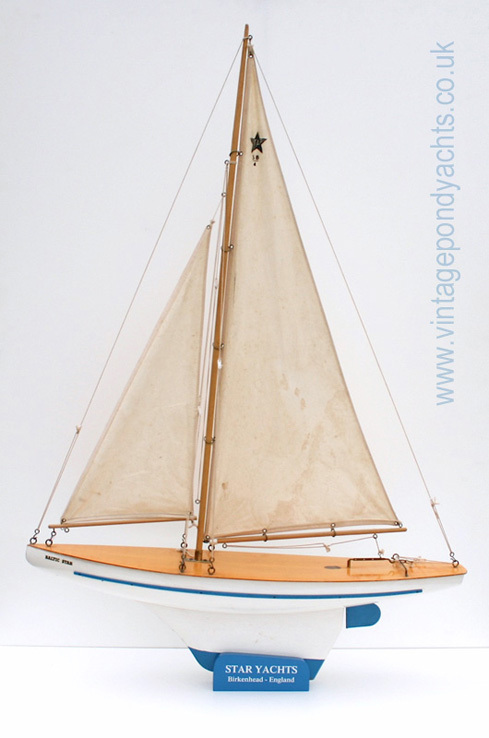 The models listed above can be identified from the more common yachts in the Star Yacht range by their thicker, lead weighted keels. Please note: The smaller Star yachts with lead keels, namely BR/2 “Meteorite”, BR/3 “Planet”, SB/2 “Pacific Star” and SB/3 “Arctic Star” require our “large” sized stand. To give an idea of size, the display yacht in the above image (not included) is an SB/4 “Baltic Star”. See also: The History of Star Yachts of Birkenhead. See also: Star Yachts of Birkenhead 1935 Catalogue. 148mm (length) x 53mm (depth) x 57.5mm (height) approx.